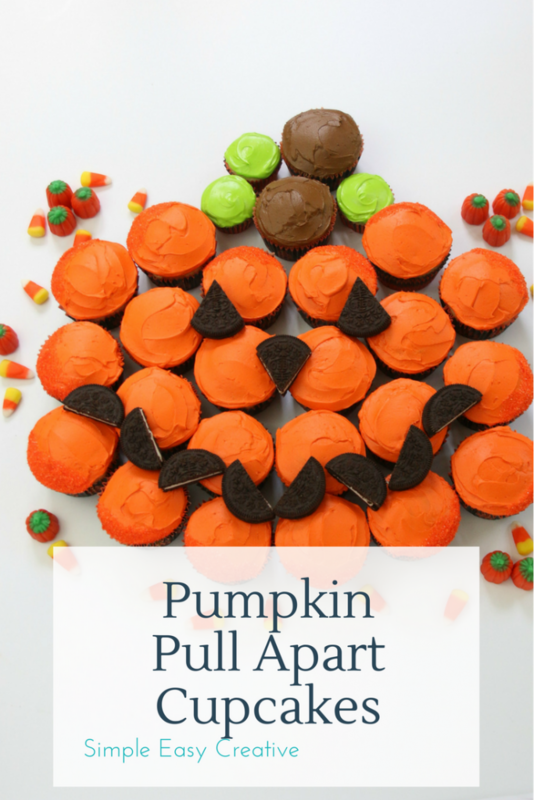 Whether you are looking for easy Halloween party recipes or maybe a treat to take to school, these Pumpkin Pull-Apart Cupcakes are as fun to make as they are to eat. Many years ago, pretty much everyone baked cakes…large, fancy, decorated cakes, and then cupcakes became popular and everyone quickly learned how easy it was to bake and serve them. There were still many people that loved the look of a decorated cake, so Pull Apart Cakes were born. What is a Pull Apart Cake you ask? Well, simply cupcakes put together to resemble a cake and frosted. 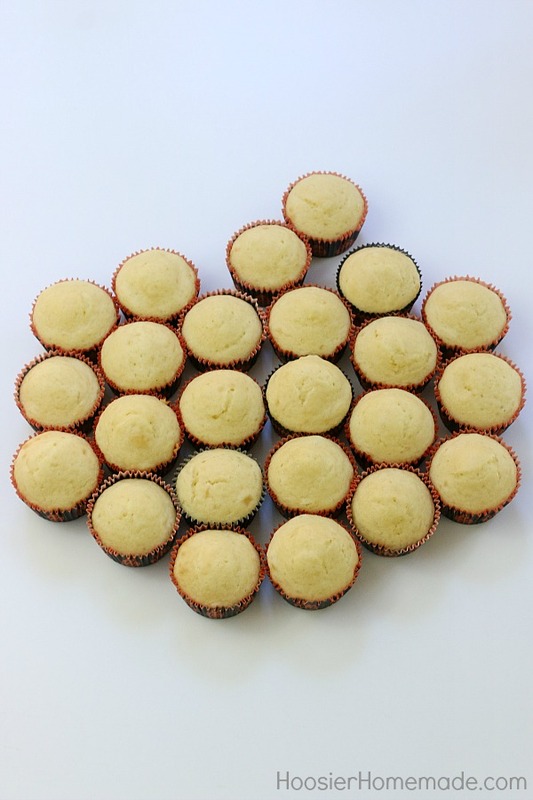 There are two version of Pull-Apart Cupcakes – one is with the entire set of cupcakes frosted together to look like a cake and the other is the way I did it, by frosting each cupcake and then placing them tightly together to form whatever shape you want. I decided to frost the cupcakes separately because I feel like the frosting can get a bit messy with it’s in-between each of the cupcakes. This way, they are all together in the Jack O’Lantern shape, but can easily be grabbed and eaten. Halloween is a favorite time in our home. For years I have made fun Halloween party snacks to enjoy at home, take to parties, and even classroom holiday parties. I was always the Mom they asked to bring in special treats for every holiday, and honestly, I loved it, and I miss those days. Although I’m reliving it a bit now with my son at college. 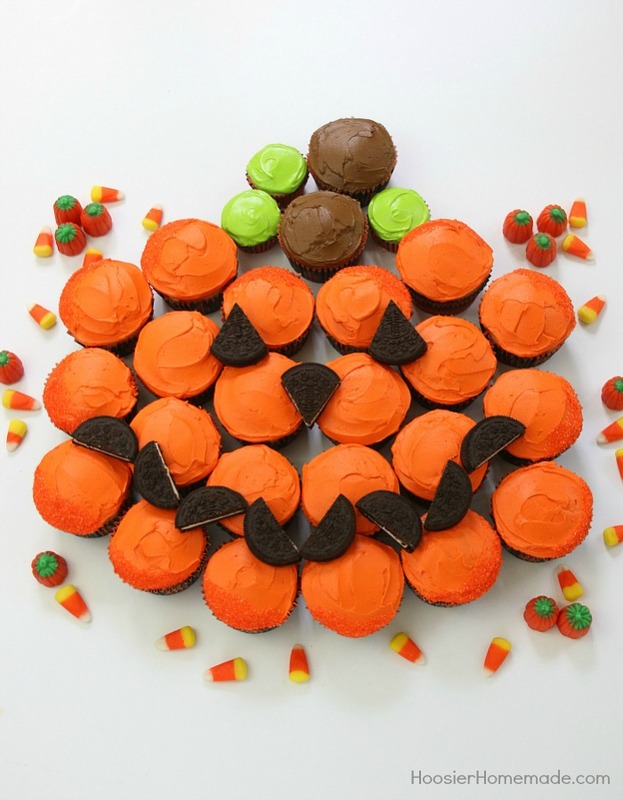 Now, setting the cupcakes up to form the pumpkin shape, isn’t hard, but it did take a little time to figure out, so I thought I would save you some time and share it with you. After each of the cupcakes were frosted, I dipped the edge in orange sanding sugar. You could also use sprinkles or leave the decoration off totally. For the face, I cut OREO Cookies in half for the mouth, and cut triangles for the eyes and nose. 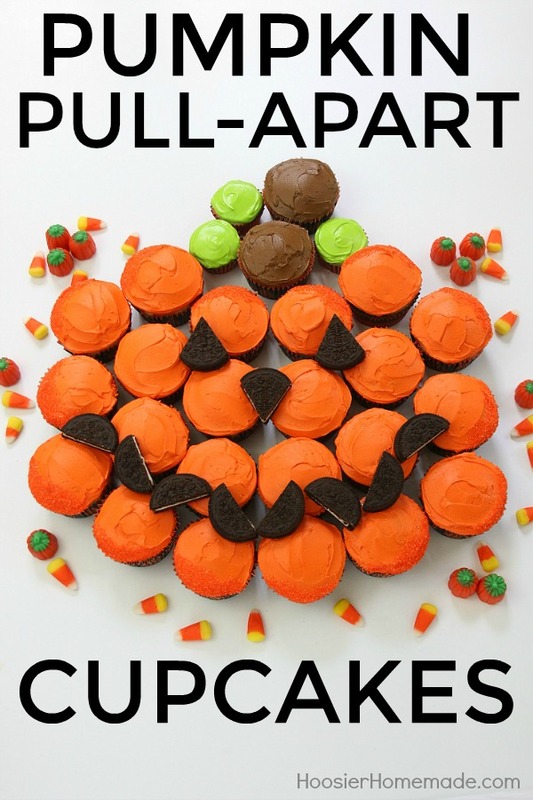 Fun and easy Halloween Treat. Perfect for Parties, Classroom treats or even a special after dinner treat. The ideas for Pull Apart Cupcakes are endless. For Halloween you could make a bat, ghost or even dracula. I would love to win this the kids and I would make some yummy cupcakes!!! I would create owl cupcakes. I want to make the oreo truffles.. They sound so good and I love the pull apart cake too. I would make an Oreo parfait dessert. We have lots of kids in our family so individual dessert would work great!!! not sure what i would make but i do know OREOS are THE best cookie!!! I would create some Oreo inspired Cookies and cream donuts! Yum! 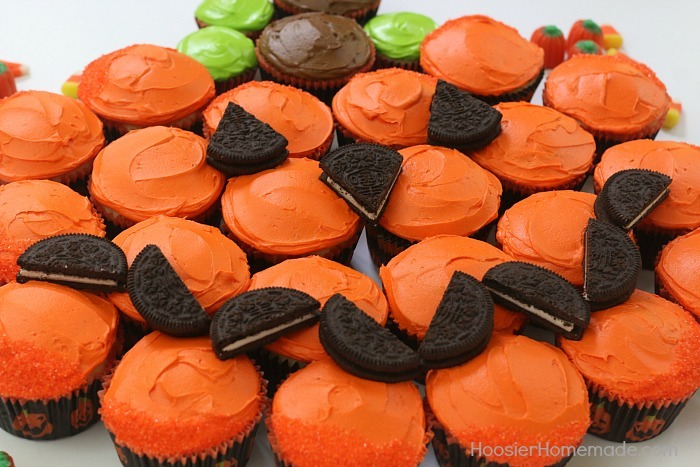 I would make Halloween Oreo Cookie Truffles! Covered in Melted candy. I would make a cake with my daughters. We are just starting to teach ourselves to do different decorating so I know we would have a really good time. Not too sure what I would make, but I would come up with something!!!!!!! Love to cook and bake! Thanks for all the cute ideas that you share!!!! I love oreos because they are YUMMY!!!!!!! I would want to try a cake as well– possibly trying to do a graveyard scene– I’m sure I could come up with something!! The creations you can make with OREO’s are endless. I would Make a decorative cake, with OREO’s inside and out and included in the decor. It will be great quality time with my 9 yr old now without the baby!! I would make the oreo pull apart cupcakes! I have some fondant pumpkins and leaves that would accompany these perfectly! 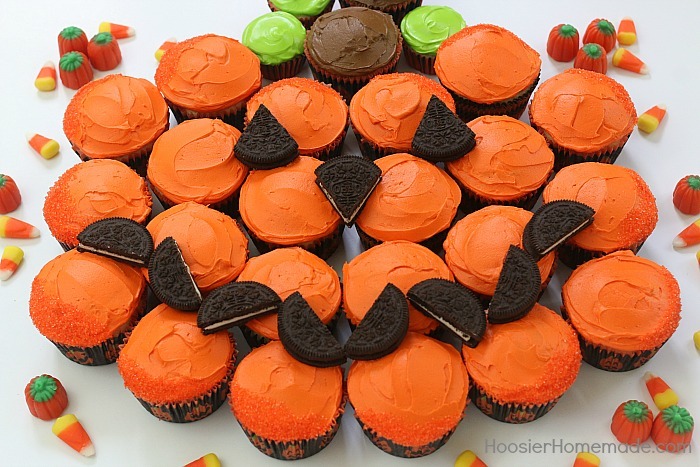 I would make pumpkin patch cupcakes using Oreos crushes up as dirt. I think they would be cute with the wrappers and sprinkles!